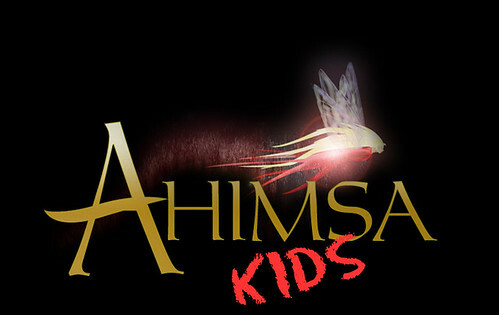 The winter holidays to us at Ahimsa Kids are all about spending time having fun and laughing with folks we love. It is for this reason that Lori and I take a break from the pre-holiday craziness each year to be goofy and shoot a holiday card together. We admit, we add quite a bit of fun on a regular basis while working together at our set tutoring agency in Vancouver, but we love to step it up for special occasions! 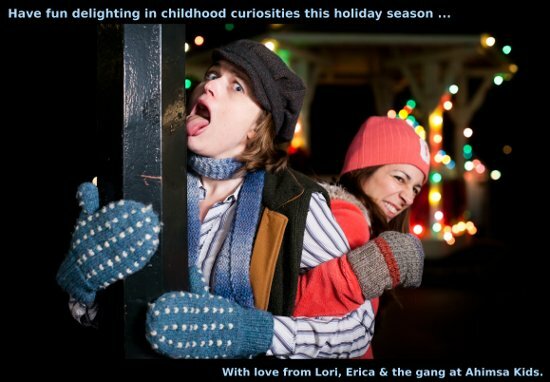 A typical bit of Erica / Lori silliness, as caught by the talented Jeremy Lim. This year’s shoot was even more delightful than usual, as we were fortunate enough to shoot at the Burnaby Village Museum, which is such a magical place. What an absolutely perfect location for two gals that have a love for hands-on learning and engaging in creative ways! If you haven’t been, you must go. Burnaby Village Museum is a living history museum, with historic interpretors dressed in period clothing there to spin tales for you of BC’s history. Having worked in such environments in my teens and twenties, I can tell you I view such sites with a discerning eye and am not easily impressed. Burnaby Village Museum impresses me. It is a place of magic. To experience a bit of the magic yourself you can visit the Museum from noon until 8 pm each day, up until January 2nd, 2011. Who knows you may even see Rudolph. He was after all created there. After that the Museum doesn’t reopen until May 2011, except for special event openings. Hoping they host their scavenger hunt again in February and March. At Ahimsa Kids Set Tutoring Agency, we have a tradition of sharing a yearly activity that can be enjoyed with friends and family, and you don’t have to be a kid to have fun with it. 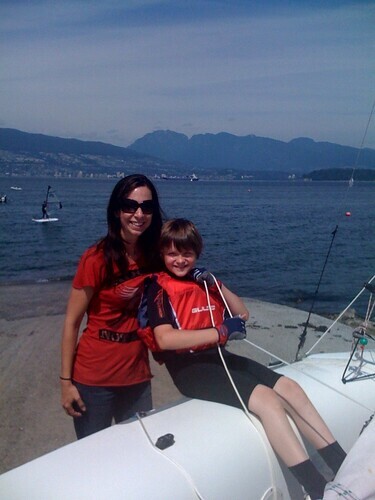 We hope you enjoy this year’s activity inspired by our own team of set tutors in BC. After all, who wouldn’t enjoy hunting for animal tracks…or eating them for that matter?! One of our favourite winter time activities is animal tracking, especially in the snow. I love finding animal tracks, identifying them, and creating stories of the critters that left the tracks behind on their travels. And animal tracks can be found anywhere in winter, even if there is no snow. If there isn’t any snow, go hunting in the mud or on ground where the mud has hardened, for some tracks. Here are some fun kitchen goodies that are easy for all ages to whip up and can help you to learn your animal tracks. Mix ½ c peanut butter, ½ c icing sugar, 1 tbsp softened butter, and ½ c Rice Krispies together. With your young ones or the young at heart, take a heaping spoonful of the peanut butter mixture, flatten the peanut butter ‘dirt’ and make the imprints different animal tracks in it,using the picture of animal tracks as a guide. Stick the peanut butter tracks in the fridge to harden. Whilst your peanut butter tracks are hardening, enjoy a winter walk and search for animal tracks, identify them, and create stories of the travels of the animals that left the tracks behind. 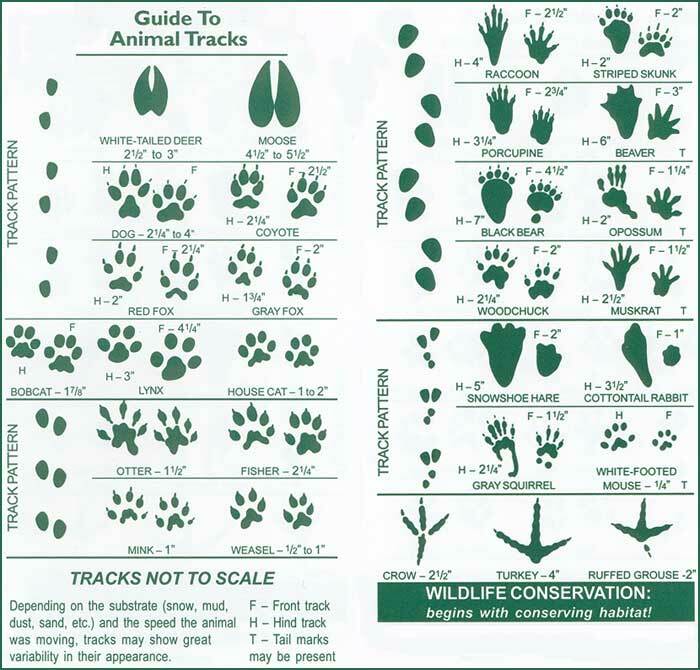 Share your animal track stories and teach your family and friends some track id as you enjoy your peanut buttery snacks. You can also find last year’s paper making activity here.